After an intense 24 hour lead up to the show, attempting to secure 2 additional speakers for the Arun Chandra’s 8-channel piece, the evening began with gorgeous reddish-orange light from the sunset bleeding into Scott Goodwin’s polyrhythmic midi-driven modular set. Einstein-on-the-beach sounding arpeggiations articulated with Goodwin’s techno sensibilities, were layered with lush pads and granular vocal samples. After a couple years of inactivity in the live domain, and possibly longer within a sit-down/listening venue environment, it was a treat to really focus on listening to him perform live. 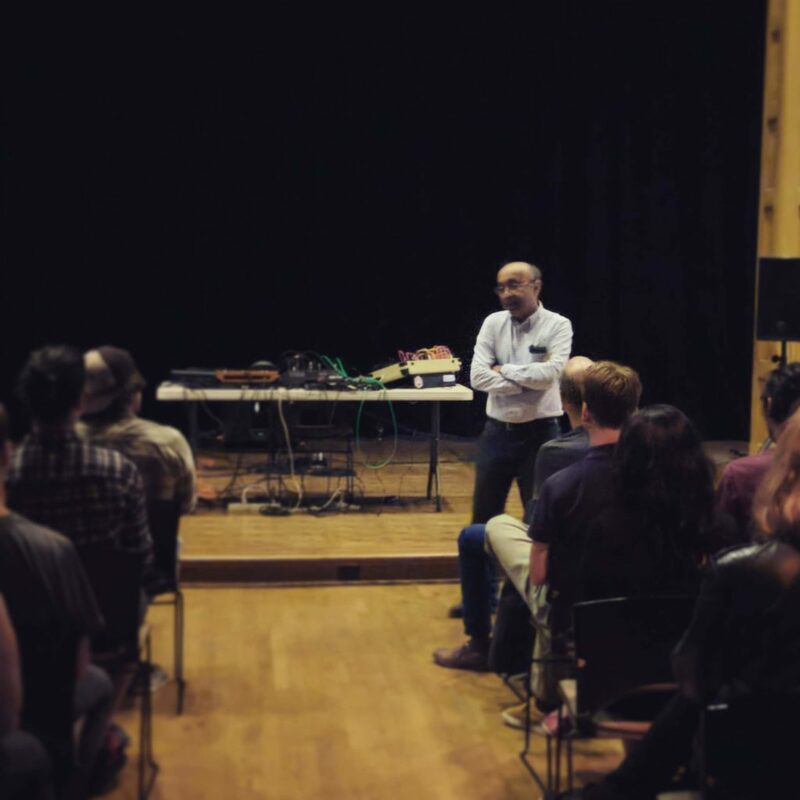 Arun Chandra presented three works including “Lament” for recorded voice and 2-channel output, “smear pulse no sneer” for 2-channel output and “A Refugee in the Mediterranean” for 8-channel output. Each work of ‘fixed media’ was presented in traditional academic fashion, with introductions informing the audience about the compositional ideas informing the pieces. A common thread between the works was how they related to his interest in the perception of time. Each piece was utterly engaging, with extreme dynamics and unusual timbres. 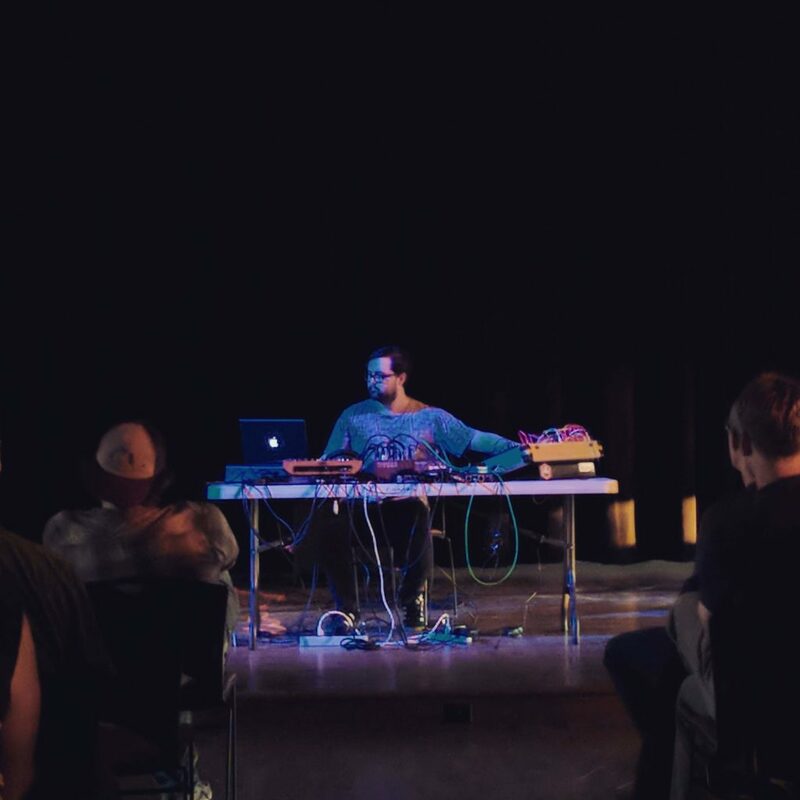 One of my favorite aspects of the work presented was his use of very raw waveforms that would sounding fairly spare and harsh as individual waveforms, and but would become very full and pleasing to the ear as they multiplied. 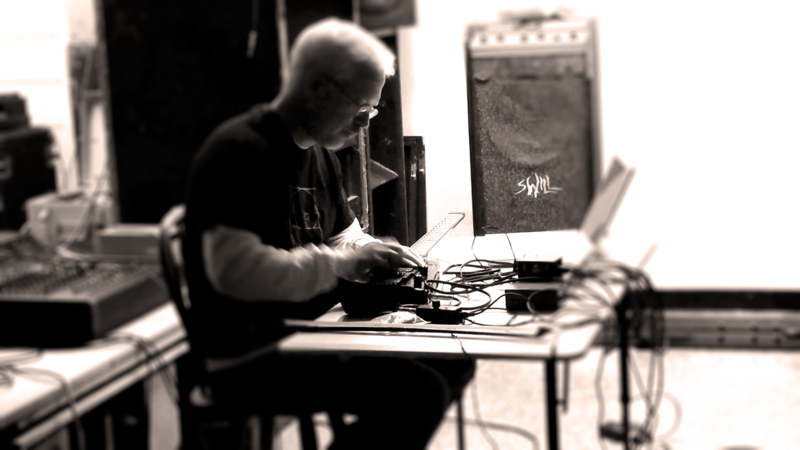 Two of his works also incorporated human voice, which, when paired with sounds of such abstract textures, there is a sort of jarring leap from one sound space to another, from alien to known/familiar – particularly when one’s ear becomes accustomed to the abstract sound space first. Chandra also explained some of his thinking with regard to the experience of time being different between one’s listening to voice versus music in “Lament”, with musical passages needing more time to seem equal to fragments of voice. I feel very fortunate to have been able to present Chandra’s work!! Extra special thanks to my volunteers Robert [RM] Francis and Ian Halloran for helping me run the show. And special thanks to Steve Peters, Vance Galloway, Walter of Cafe Walter, Mita Mahato, David Golightly and Emily Pothast.